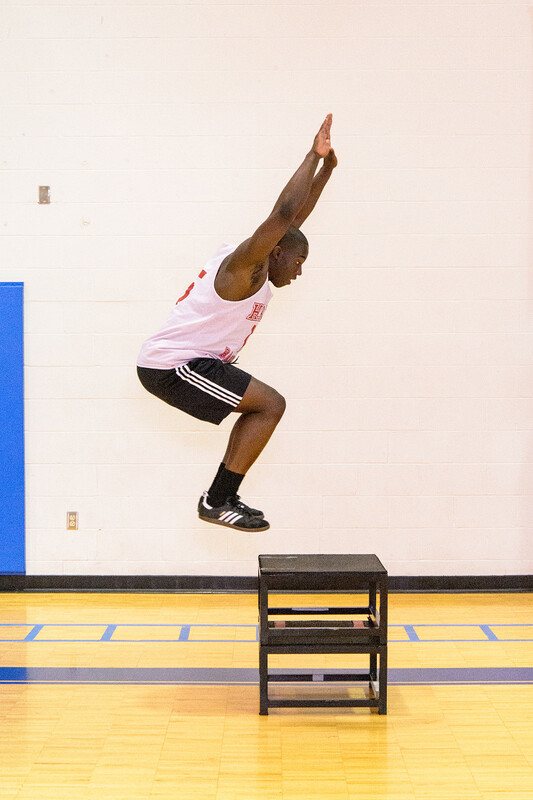 Plyometrics can be a real game changer in your daily workouts. Research has shown that such an addition to your workout can help you lose weight and improve your performance in the gym, on the track, court, and field. The explosive movements increase muscle strength and protect your joints, which also means they can help you avoid injury. With so many good things in store for those who are willing to jump outside the box, so to speak; we proudly introduce this excerpt from Plyometrics (Human Kinetics, 2013), written by Donald Chu and Gregory Myer. When it comes to training, the relationship between strength and power is often complex. In general, as the resistance goes up, the speed of the movement will go down. When athletes perform lifts at maximal effort, the speed of the movement is often very slow. As the overall resistance is reduced, the speed of force development increases, and power will also show increases. Because power production is the key determinant of success in sport, athletes need to use training techniques that are focused on transitioning the strength gained from heavy (but slow) resistance training to high-velocity movements. Plyometric training done with rapid force absorption (e.g., landing from a jump) and force generation (push-off of a jump) is critical to help the athlete convert strength into power. For resistance training to be focused on increasing power, the lifts must be made more dynamic in nature. A form of squatting known as the jump squat is an example of this type of exercise. In this type of exercise, the athlete uses a load of approximately 30 to 60 percent of 1RM. The exercise involves using all of the basic components of muscle contraction that are necessary to prepare the athlete for higher-intensity plyometric exercises. The goal is to use a resistive load that maximizes the mechanical power output of the exercise. The 5-5-5 squat (see figure 3.1) embodies this principle. 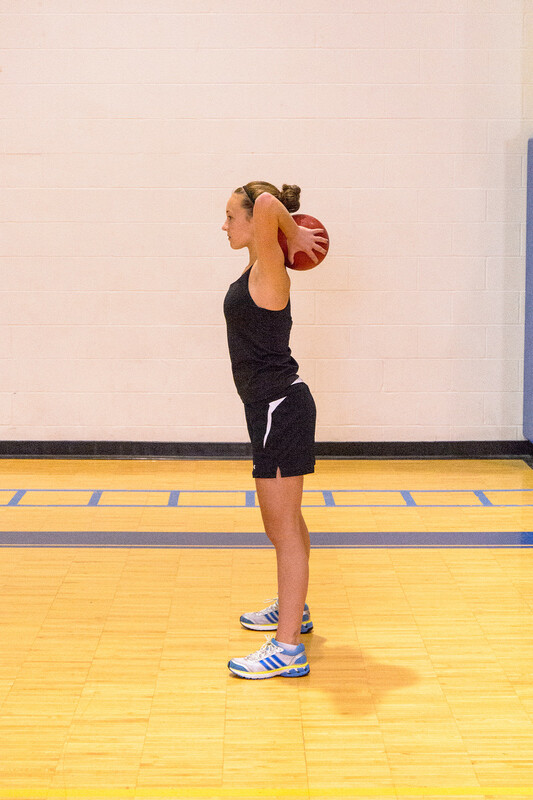 This drill can be done with body weight or up to 60 percent of 1RM in the form of a medicine ball or barbell. The athlete assumes a start position with the feet shoulder-width apart, the toes turned slightly out, the abdominal muscles tight, and the spine in slight extension (figure 3.1a). The weight (if used) is on the shoulders behind the neck. The athlete performs five controlled squats, lowering to a position with the thighs parallel to the floor (figure 3.1b). The movement should include a stop or isometric catch position at the bottom. On the ascent, the athlete returns to the standing position, focusing on accelerating during the ascent (figure 3.1c). A useful tempo for this first movement is 6-1-2, or 6-second descent, 1-second pause at the bottom, and 2-second return to the standing posture. Next, the athlete drops into the squat position five times rapidly. The quick squat is performed at a much faster rate and a very dif­ferent tempo—2-0-2. The athlete drops quickly, comes to a quick stop at the bottom, and then performs a rapid ascent. The legs should fully extend, but the feet should not leave the ground. Finally, the athlete drops into the squat position and explodes vertically five times in a row. The feet should leave the ground after each repetition. The tempo is very explosive—2-0-1. The athlete must keep the weight in contact with the shoulders while jumping because letting the weight come away from the shoulders may result in injury. Figure 3.1 5-5-5 squat: (a) start, (b) squat, and (c) explosion. Extensive research has demonstrated that maximal strength levels can be improved by using lighter weights followed by doing highly accelerated movements in both the upper and lower extremities. In the East European literature, this type of training is described as one form of complex training. (Another form involves using heavy weights and quickly freeing yourself from the resistance by dropping or releasing the weight, described as contrast training.) Using maximal power training and plyometrics in an integrated fashion can lead to rapid increases in power, although the intensity of this type of training would be too stressful for long-term training (greater than a 12-week cycle). However, it can be applied for short periods of training, and it is often used in the later stages of the preparation (off-season) cycle of a periodization training scheme. This type of training can often help to sharpen or refine the body’s ability to develop force rapidly, resulting in the athlete being able to develop greater impulse forces—which are essential in jumping, running, and throwing. Join us next time as Donald Chu and Gregory Myer help us discover the true power of the vertical jump. 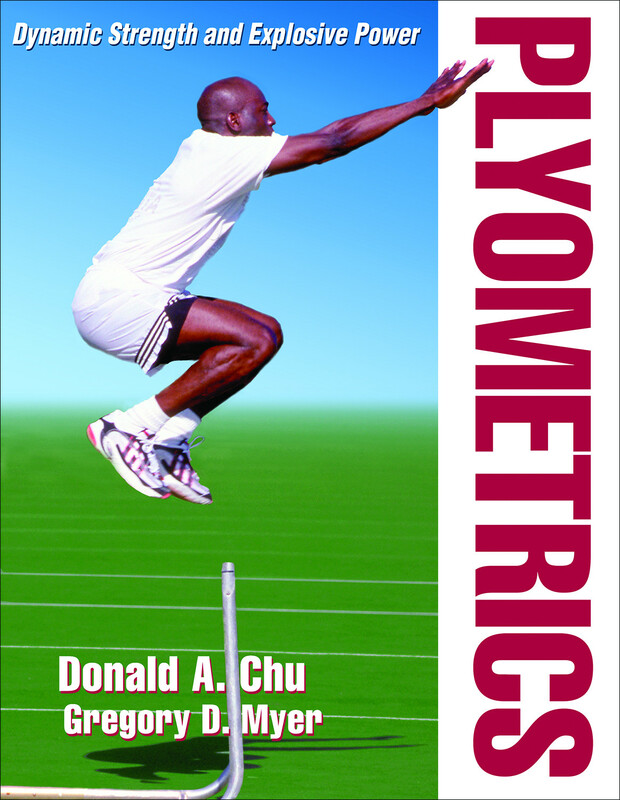 Plyometrics is written by Donald Chu, who pioneered research-supported plyometric training in the Western hemisphere and is revered throughout the strength and conditioning community for enhancing modern sports’ most defining athletic factor: power. Plyometrics is now available on Amazon and bookstores everywhere, as well as online at www.HumanKinetics.com.